we know how to put on a show. Whether that vision is to motivate, educate, or bring like minds together, we can help in delivering your message. By utilizing cutting edge technology, skilled technicians who are passionate about their work, and time tested production techniques, there’s no limit to what we can do. We’re your experts in postproduction, editing along with web streaming and hosting. We’re your partner in ironing out all the important details, and maximizing your budget. McCune maintains the very best in Sound, Lighting and Projection systems. The best way to kick off a partnership is by giving us a call or sending us an email. We look forward to hearing about your event vision! © 2018 mccune. All rights reserved. McCune Audio, Video and Lighting rentals, providing extraordinary events and since 1932, are among the most respected and accomplished companies in the industry for Live event productions and Corporate event productions. 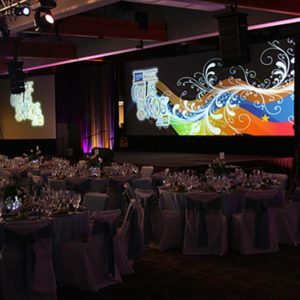 McCune has offices in Anaheim, California offers Corporate Event Planners Audio Equipment Rentals / Video Equipment Rentals / Lighting Equipment Rentals and full service technical event production. McCune provides technical services for sporting events, concerts, parades, trade shows, conferences, weddings, air shows, theater, galas and many events.